Wine lovers, like politicians, often disagree with each other. It’s easy to see why. There are more wines out there now chasing and shaping consumer preferences than ever before. Plus no wine is too pointy-headed or extreme these days, just like no modern consumer is without a pulpit. But there is one thing all seem to agree on regardless of aisle preferences – everyone loves bubbles! For serious fans like me, it’s an intense affection. We love bubbles dearly and hold them especially close to our hearts. We can’t imagine life without them. Fortunately for all sparkling wine lovers, today’s market is replete with an unsurpassed selection of quality options. Let’s start with the basics. Until the mid-1970s in France, sparkling wine was either true Champagne from the appellation of the same name or simple generic vin mousseux (literally “sparkling wine”). One paid either very few or very many francs to drink bubbles. There was no middle ground between the basement and the penthouse. Fortunately, the combination of steady demand and healthy competition has kept the overall quality level of vin mousseux reasonably high. Forty plus years after the hugely successful launch of the Crémant category that parked itself smack in the middle ground between high priced Champagnes and entry level vin mousseux this is still the case. At Wine Warehouse we’ve followed all three categories for some time and sailed in each of them well, particularly the difficult to navigate ocean of vin mousseux. Find out what thousands know already and check out this fine range of value-driven, direct import sparkling wine options. Our two top selling vin mousseux selections (Pol Clement and Chamdeville – see below) are among France’s best sellers also. It’s easy to understand why these beauties are so universally popular. For over two centuries Champagne was France’s only quality sparkling wine option. Everything else with bubbles was either vin mousseux or a random regional wine leaving a wide gap between the top of the sparkling wine category and its entry level. By the early 1970s it was apparent there was room, even strong desire for an alternative between the two extremes. Numerous factors drove this perfect storm to port including a brisk upswing in demand based on sparkling wine’s growing popularity as well as a rapidly expanding consumer base. Champagne producers were unable to keep up. 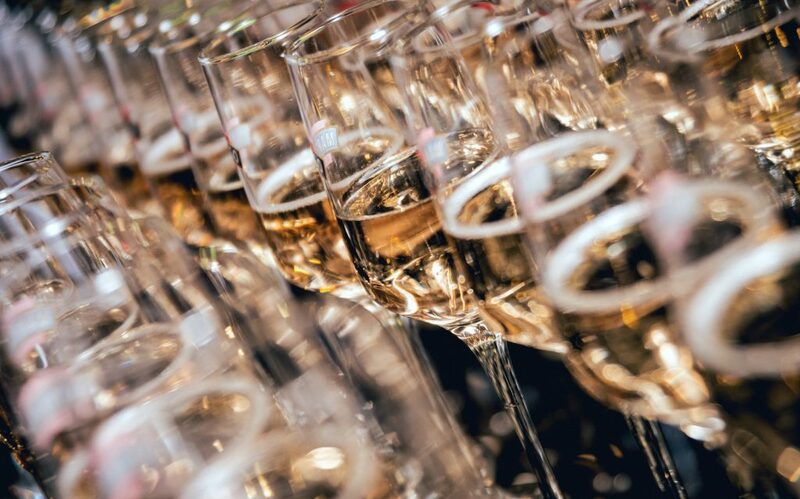 Escalated pricing did not deter the swelling demand although the introduction of modestly priced Cava from Spain certainly hastened the French response, one that ultimately led to the introduction of Crémant. While this all was unfolding some serious conversations were under way in Auxerre, a prolific grape growing region a few kilometers southwest of Chablis. The local quarrymen and a decent sized group of independent farmers were watching developments in the wine business closely with an eye peeled for potential opportunities for growers like them with good vineyards like theirs. One thing led to another. Soon a cooperative venture was launched to specialize in moderately priced méthode traditionelle (same as méthode Champenoise) sparkling wines using local grapes. The farmers pooled resources and made all the right moves including hiring a crackerjack technical team. They turned the town quarry into a winery and never looked back. Not surprisingly growers in other French wine regions, especially the Loire Valley were having similar conversations. This is where the story circles back to 1975 when both Crémant de Bourgogne and Crémant de Loire AOCs were born. Since then, five additional Crémant AOCs have arrived. The category never has been stronger and the wines never have been better. 120 years ago, an ambitious young French engineer named Eugene Charmat developed an effective method of mass producing sparkling wine in a closed tank. It was a game changer for the wine business, enabling a subsequent economy of scale without precedence. Today the company Monsieur Charmat started over 100 years ago in northern France is still around and still producing first rate vin mousseux. Now called CFGV, it’s one of the largest companies in France and produces over 80 million bottles of vin mousseux a year, estimated to be 18% of France’s total production. From CFGV, the classy Pol Clement Brut Rosé is an artful assemblage of base wines derived from select Loire Valley grapes including Gamay, Grolleau, Cabernet Franc and Pineau d’Aunis. It offers crisply defined fresh fruit flavors and features a soft but persistent mousse. Pol Clement Brut is made from Ugni Blanc, (called Trebbiano in Italy where it originated), a ubiquitously planted, versatile grape that is known as the primary base wine for Cognac. It’s also known for its savory fruit character and crispy, pert, green apple flavor profile that along with a creamy mousse are the key attributes of this delicious wine. Here’s something to think about. An entire case of 12-bottles of Pol Clement Brut or Rosé cost less than what one would expect to pay at a decent restaurant for one bottle of average quality NV Champagne. 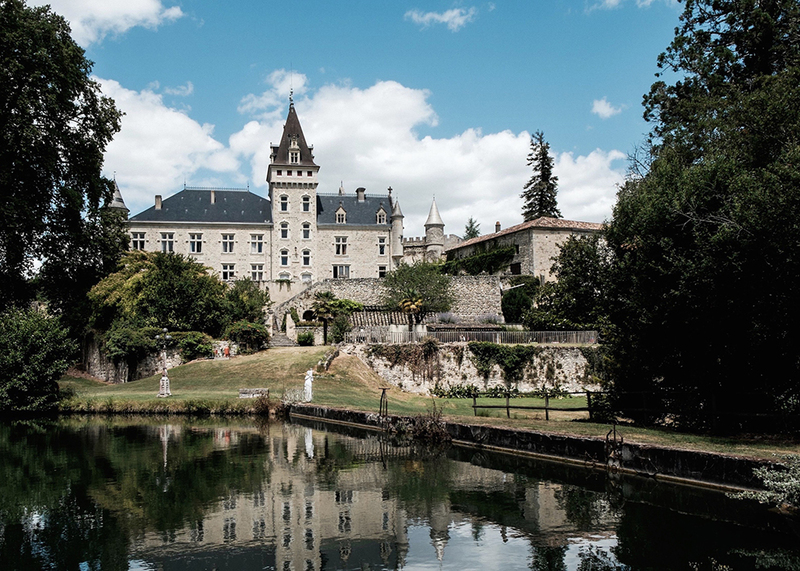 Chamdeville is produced near Bordeaux at a modern cooperative facility called Chateau de Lisse where some of Europe’s most successful sparkling wines are made. It’s produced in a classic Blanc de Blanc style, using only white grapes including Chardonnay, Chenin Blanc and Ugni Blanc. This is a traditional assemblage for the area and it produces a noticeably dryer style of vin mousseux with richer flavors and more palate weight. It’s another amazing direct import value. Jean Philippe, Vintage Brut, is produced at Domaine Collin, a modern facility in southwestern France’s Limoux region, one of the oldest winemaking areas in the world. Among its other claims to fame, Limoux is acknowledged as the birthplace of sparkling wine. Viticultural records in Limoux date back to Roman times and include remnants of handwritten notes describing early sparkling winemaking recipes recorded by fermenting monks in the 1500s. These instructions detail what we now call méthode rurale or méthode ancestrale. Blanquette de Limoux is the official appellation for sparkling wines from Limoux, most of which are still produced using the old methods. Limoux’s well-positioned vineyards rest along sunny slopes above a wide band of calcareous sub-soils. As is common in the Blanquette de Limoux appellation, Jean Philippe is both a 100% organic cuvée and a traditional blend of 60% Mauzac (an indigenous grape), 20% Chenin Blanc & 20% Chardonnay. For a wine that costs less than $8 there’s an unusual amount of nuance in this custom blend, direct import selection made for us by Alain Collin, the domaine’s proprietor who is also the owner of Domaine Collin in Epernay. Sparkling wine is in his blood. Character and value are in his wines. Varichon et Clerc Blanc de Blanc, Traditionnelle Méthode Brut is made at Les Sechallets, a modern cellar in Seyssel near Savoie in central southeast France, 40 kilometers south of Geneva, Switzerland. This pre-Alpine area along the upper Rhone River covers a multitude of microclimates and has a long tradition of producing excellent sparkling wine. The soils in Seyssel contain large concentrations of glacial deposits that provide highly suitable homes for the region’s many vineyards owned by numerous small growers who provide grapes for modern cooperative facilities like Les Sechallets. Sparkling wines from here often are blends of native and imported grape varietals. Varichon et Clerc Blanc de Blancs is a textbook example. It’s composed from an assemblage of outsider grapes including Chenin Blanc, Chardonnay and Macabeo knit together with two homegrown favorites Molette and Altesse. The cuvée was fermented at very low temperatures to enhance the wine’s delicate aromas. At less than $9 a bottle, it’s as good as wines that cost twice the price. Saint-Bris Le-Vineux is the little town overlooking the River Yonne in the Auxerre where the Crémant de Bourgogne AOC was conceived. 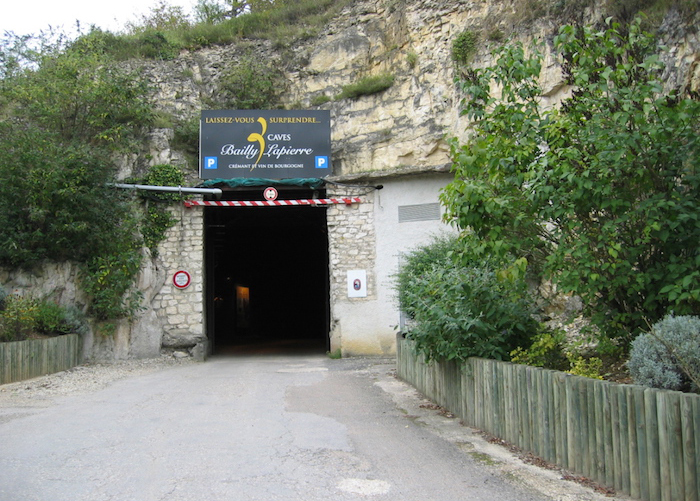 Cave de Bailly is the name of the winery started by the 430 local growers whose idea it was. 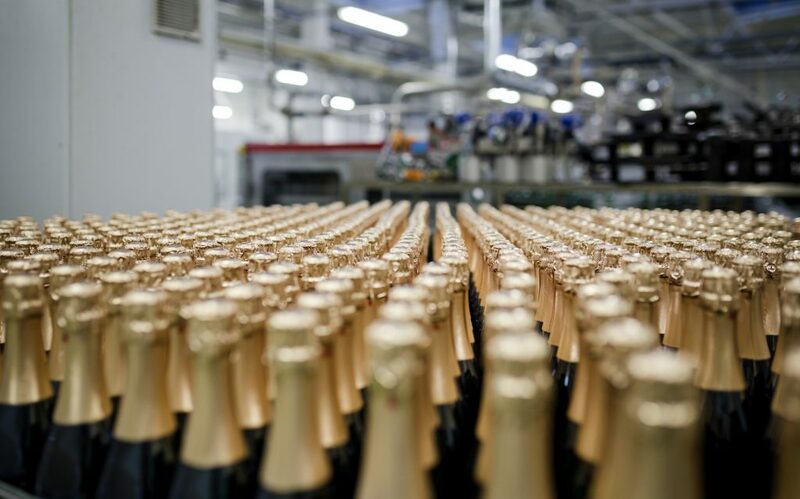 Today Cave de Bailly produces three and a half million bottles of sparkling wine, much of it under the label Bailly Lapierre. The range is based on grape composition and aging. Only four grapes are allowed including Chardonnay, Pinot Noir, Gamay and Aligotee) and all of the wines are made via méthode traditionelle before aging underground for at least twelve months. The Crémant de Bourgogne AOC rules mandate hand harvesting as in Champagne. Common sense insists on fast and clean pressing. For Bailly Lapierre wines, the Cave ferments whole bunches only. 75% of the cuvée is based on first press juice exclusively, a huge quality statement. A subtle pressing is achieved via air bag pneumatics, another huge quality control step. Light handling ensures minimal fruit deterioration and maximum flavor expression. Four different sizes of presses are used, an advantage that enables flexibility and allows special treatment for top cuvées. The Bailly Lapierre Reserve range is threefold. Bailly Lapierre Brut Reserve NV is a crafty blend of 60% Pinot Noir, 20% Chardonnay and 20% Aligote. Always fresh, it wins many medals and gets an avalanche of good press. It can’t be beat for value. Stable mate Bailly Lapierre Rosé Brut NV is another thoroughbred. It’s a lightly filtered and carefully pressed blend of 90% Pinot Noir and 10% Gamay that expresses both vigor and freshness in a flavor composition not easily found in wines this modestly priced. From the vintage tier comes Bailly Lapierre 2014 Egarade, a snappy blend of Chardonnay and Pinot Noir aged on its lees for up to 18 months in underground cellars. Egarade is a colloquial French phrase from the old days that refers to forgetting where you are. Egarade, the wine, is the opposite. It’s a top shelf Crémant de Bourgogne that is complex and highly focused. Like many Alsace producers, Dopff & Irion is family based. But unlike most of this highly traditional brood, Dopff & Irion always has been driven by innovation and forward progress. The firm was among the first to appreciate the value of site in Alsace, an understanding illustrated by the purchase of several key vineyards in Riquewihr, arguably the region’s most important wine village. Dopff & Irion also was among the first to cultivate single vineyard domaine wines, a move made possible only by the acquisition of superior sites like those in Riquewihr. It would be fair to state that Dopff & Irion pioneered the concept of terroir driven varietal wines in Alsace, one of Europe’s most stubborn, hidebound wine regions. At present Dopff & Irion manages several domaines within an extensive multifaceted estate in Riquewihr. Up to 200 growers are involved. Dopff & Irion Crémant D’Alsace Brut Rosé is made via méthode Champenoise/méthode traditionelle from 100% lightly pressed, whole berry, Pinot Noir grapes grown in exceptional, single vineyard sites, mostly on superior hillsides. Following aging and disgorgement the wine is given a slightly higher than normal dosage (15 grams per liter) before bottling and final settling. The innate vigor and naturally higher acidity of the base wines requires an elevated dosage for overall balance. Although it’s less than half the cost of an average NV Champagne, exceptional Crémant d’Alsace like Dopff & Irion’s, can be twice as nice to drink. During Rob’s 25 year tenure with Wine Warehouse he has held several key roles with the company. Following his early days as a successful sales rep, Rob was tagged to take over the regional manager position in the highly competitive market of San Francisco. After several years managing a talented group of sales reps in the city, Rob was promoted to Director of Imports for Northern California, a position he held until being promoted to his current post as Director of Fine Wine.